One of the up-coming names in the tourism industry of Dubai is Falcon Oasis Tourism that is making its mark under the supervision of a team of professionals, who had 7 years experience of inbound excursions and now they are expanding their wings. Falcon Oasis Tourism has been able to achieve so much in very a short span of time because of dedication towards their clients, whom they have provided best services in affordable prices. Moreover, their continuum of packages has also impressed tourists because Falcon Oasis Tourism has offered excursions that only limited tour operators are offering to their customers in Dubai. The exclusive work place of Falcon Oasis Tourism is located in Bur Dubai at Al Mussallah Road, where they warmly welcome each guest. To experience the best attractions, adventures and explore various famous sites of Dubai, Falcon Oasis Tourism has offered numerous tour and excursion packages under these umbrellas: City Sightseeing Tours, Safari Adventures, Amazing Tour, Water Adventure, Cruises and Air Adventure. In addition to this, Falcon Oasis Tourism also takes the responsibility of making visa arrangement for their customers. This package includes tourist, transit and visit visas. Plus they also reserve hotel suits, rooms or villas for their patrons according to their need in any accommodation facility of Dubai. Moreover, well trained staff of Falcon Oasis Tourism also meets & greet and do airport transfers. 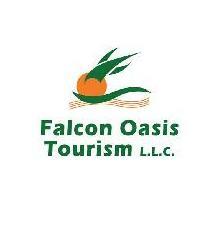 Falcon Oasis Tourism’s office opens daily between 10:30 am and 4:00 pm. Al Mussallah Road, Bur Dubai, Dubai - United Arab Emirates. 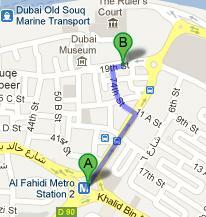 Head northeast on Al Mankhool Road towards 41st Street, from this metro station and then turn left onto 74th Street. After that turn right onto Al Fahidi Street that will lead the patrons to the destination that will be on the right side few meters away. Bus number C7 serves Faheidi, Roundabout 1 bus stop that is 4 minutes walk away from Falcon Oasis Tourism office, which makes it a 260 meters journey. To cover this journey in 4 minutes, bus user needs to head in the north course on Al Mankhool Road and then at the roundabout, take the second exit onto Al Fahidi Street, where this destination can be located on the left side. View map for directions.